Direct berths (158): 3 countries (places 7-9 in UCR) with 4 teams; 47 countries (places 1-6 and 10-53 in UCR, except Liechtenstein, Andorra, and San Marino) with 3 teams; 3 countries (Liechtenstein, Andorra, and San Marino) with 1 team. Extra berths (36): 3 teams qualified via Fair Play (ranking of countries whose teams receive points based on criteria such as fewest yellow/red cards, positive play, respect for the opponent, respect for the referee, behavior of the team officials and behavior of the fans). 33 teams qualified via Champions League 2013-14 (15 losers from Third Qualifying Round, 10 losers from the Qualification Playoff and 8 third-placed teams after the League Stage). 76 TEAMS. 19 Cup champions from countries ranked 35-53 in UCR 2008-2012 (in green); 25 runners-up from countries ranked 28-53 in this UCR (except Liechtenstein); 29 third-placed teams from countries ranked 22-51 in this UCR (except Liechtenstein); 3 teams qualified via Fair Play (in pink). (a) Played in Toftír. (b) Played in Wrexham. (c) Played in Tallinn. (d) Played in Tbilisi. (e) Played in Skopje. (f) Played in Ta'Qali. (g) Played in Ta'Qali. (h) Played in Andorra la Vella. (i) Played in Podgorica. (j) Played in Dublin. (k) Played in Tórshavn. (l) Played in Rhyl. (m) Played in Rhyl. (n) Played in Šiauliai. (o) Played in Serravalle. (p) Played in Korçë. (q) Played in Erevan. (r) Played in Sundsvall. (s) Played in Baku. (t) Played in Tiranë. (u) Played in Serravalle. (v) Played in Burgas. (w) Played in Bucureşti. (x) Played in Andorra la Vella. (y) Played in Ta'Qali. (z) Played in Skopje. 80 TEAMS. 38 winners from First Qualifying Round; 15 Cup champions from countries ranked 20-34 in UCR 2008-2012 (in green); 12 runners-up from countries ranked 16-27 in this UCR; 6 third-placed teams from countries ranked 16-21 in this UCR; 6 fourth-placed teams from countries ranked 10-15 in this UCR; 3 fifth-placed teams from countries ranked 7-9 in this UCR. (a) Played in Tiranë. (b) Played in Tbilisi. (c) Played in Bucureşti. (d) Played in Vantaa. (e) Played in Helsingborg. (f) Played in Baku. (g) Played in Ta'Qali. (h) Played in Lárnax. (i) Played in Luxembourg. (j) Played in Tbilisi. (k) Played in Skopje. (l) Played in Podgorica. (m) Played in Nyíregyháza. (n) Played in Toftír. (o) Played in Rhyl. (p) Played in Dubnica nad Váhom. (q) Played in Burgas. (r) Played in Zhodino. (s) Played in Sundsvall. 58 TEAMS. 40 winners from Second Qualifying Round; 3 Cup champions from countries ranked 17-19 in UCR 2008-2012 (in green); 6 third-placed teams from countries ranked 10-15 in this UCR; 3 fourth-placed teams from countries ranked 7-9 in this UCR; 3 fifth-placed teams from countries ranked 4-6 in this UCR; 3 sixth-placed teams from countries ranked 1-3 in this UCR. (a) Played in Zenica. (b) Played in Rīga. (c) Played in Tiranë. (d) Played in Baku. (e) Played in Brest. (f) Played in Cluj-Napoca. (g) Played in Dubnica nad Váhom. (h) Played in Burgas. (i) Played in Grodno. (j) Played in Chişinău. (k) Played in Trieste. (l) Played in Tbilisi. (m) Played in Sundsvall. (n) Played in Reykjavík. (o) Played in Bucureşti. (p) Played in Aspach. 62 TEAMS. 29 winners from Third Qualifying Round; 9 Cup champions from countries ranked 8-16 in UCR 2008-2012 (in green); 3 third-placed teams from countries ranked 7-9 in this UCR; 3 fourth-placed teams from countries ranked 4-6 in this UCR; 3 fifth-placed teams from countries ranked 1-3 in this UCR; 15 losers from Third Qualifying Round of Champions League 2013-14 (in red). BYES. 10 losers from the Qualification Playoff of Champions League 2013-14. LOSERS OF CHAMPIONS LEAGUE QUALIFICATION PLAYOFF: GNK Dinamo (CRO), FK Ludogorets (BUL), NK Maribor (SVN), FK Shakhtjor (KAZ), Legia Warszawa (POL), Olympique Lyonnais (FRA), PAOK (Thessaloníkê) (GRE), FC Paços de Ferreira (POR), PSV (Eindhoven) (NED), Fenerbahçe SK (TUR). CUP CHAMPIONS FROM COUNTRIES RANKED 1-7 IN UCR 2008-12: Wigan Athletic FC (ENG), Valencia CF (SPA), SC Freiburg (GER), SS Lazio (ITA), Vitória SC (POR), FC Girondins de Bordeaux (FRA), FK Anzhi (RUS). * The Turkish clubs Fenerbahçe SK and Beşiktaş JK were ruled out of the competition after CAS rejected their appeal against exclusion by UEFA for their implication in a domestic match-fixing scandal. The Cypriot team APOEL was drawn from all the teams eliminated in the Qualification Play-Off to replace Fenerbahçe, whereas Tromsø IL advanced instead of Beşiktaş. ** After the disqualification in Champions League of Ukrainian FK Metallist for match-fixing, its rival PAOK was declared winner and qualified for the next round of this competition. Consequently, the Greek club, who should have continued their European participation in Europa League, was scratched from this tournament and Maccabi Tel-Aviv received a bye. (a) Played in Bruxelles. (b) Played in Cluj-Napoca. (c) Played in Levkosía. (d) Played in Baku. (e) Played in Grodno. (f) Played in Tiranë. (g) Played in Trieste. (h) Played in Tallinn. (i) Played in Tbilisi. (j) Played in Tiranë. (k) Played in Khimki. (l) Played in Piatra-Neamţ. (m) Played in Linz. Eintracht Frankfurt - Girondins Bord. Girondins de Bordeaux - Maccabi T.A. Girondins de Bordeaux - Eintracht F.
(a) Played in Cluj-Napoca. (b) Played in Guimarães. 32 TEAMS. 24 qualified teams after Group Stage; 8 third-placed teams after the League Stage of Champions League 2013-14 (in red). (a) Played in Ramenskoje. (b) Played in Levkosía (Cyprus). (c) Played in Sofija. (a) Played in Sofija. (b) Played in Ramenskoje. *3 additional goals scored in the Qualification Play-Off not computed. (a) Julián was loaned to UD Almería on 21-01-2014. (b) Cala was transferred to Cardiff City FC on 7-02-2014. (c) Medel was transferred to Cardiff City FC on 11-08-2013, and on the same day Cristóforo was signed by Sevilla FC, taking over his shirt number. (d) Perotti was loaned to CA Boca Juniors on 5-02-2014. (e) Maduro was transferred to PAOK on 2-01-2014. (f) Rabello was loaned to RC Deportivo de La Coruña on 24-01-2014. (g) Guarente was loaned to AC Chievo Verona on 31-01-2014. (h) Kondogbia was transferred to AS Monaco FC on 31-08-2013. (i) Rusescu was loaned to SC Braga on 26-12-2013. (a) Cortez, on loan from São Paulo FC, returned to the Brazilian club on 11-01-2014. (b) Mitrović was loaned to Real Valladolid CF on 22-01-2014. (c) Matić was transferred to Chelsea FC on 15-01-2014. (d) John was loaned to Hamburger SV on 17-01-2014. (e) Melgarejo was transferred to FK Kuban’ on 2-09-2013. Y la “maldición de Guttmann” continúa… Cincuenta y dos años después de que el entrenador húngaro Béla Guttmann lanzara su terrible maldición sobre el Benfica tras ser despedido de mala manera por el conjunto portugués, al que acababa de guiar a su segunda Copa de Europa, las “águilas rojas” volvieron a perder una final europea en la que, por juego, dominio y ocasiones, merecieron mucho más. Desde su último éxito europeo en 1962, el Benfica ha perdido las ocho finales europeas que ha disputado: cinco de Copa de Europa/Liga de Campeones (1963, 1965, 1968, 1988 y 1990) y tres de Copa de la UEFA/Europa League (1983, 2013 y 2014), una racha negativa única en la historia del fútbol europeo. El Sevilla, por su parte, supo capear el temporal durante los ciento veinte minutos que duró la final gracias a una gran labor de equipo y sobre todo la excepcional actuación del guardameta portugués Beto, que realizó notables intervenciones durante el partido y, ya en la lotería de los penaltis, fue el héroe sevillista al detener los lanzamientos de Cardozo y Rodrigo. 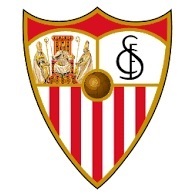 De esta forma, el Sevilla entra en el selecto grupo de equipos (junto con Barcelona, Juventus, Inter, Liverpool y Valencia) que han conquistado la Copa de la UEFA/Europa League en tres ocasiones. Frente a la tremenda racha negativa del Benfica en finales europeas, el Sevilla representa precisamente el polo opuesto: tres títulos europeos en las tres finales disputadas. El capitán del conjunto hispalense, Ivan Rakitić, fue elegido el Jugador Más Valioso de la final gracias a su creatividad y control en el centro del campo. En un final igualada y de dominio alterno, el Sevilla asumió la posesión del balón en los compases iniciales. El colombiano Carlos Bacca pudo abrir el marcador en el minuto 9, tras un contragolpe sevillista magistralmente conducido por Rakitić, pero se hallaba en fuera de juego tras recibir el centro final de José Antonio Reyes. En el minuto 14, el Benfica anunció sus intenciones atacantes mediante una volea de Ezequiel Garay que obligó a Beto a despejar el balón y a Nico Pareja a evitar, casi bajo palos, el rechace. Tras una entrada de Alberto Moreno, el extremo derecho del Benfica Miralem Sulejmani se vio obligado a retirarse con molestias en su clavícula. A medida que el centro del campo de ambos equipos tomaba el control del juego, Sevilla y Benfica acumularon imprecisiones en el pase, y sus respectivos atacantes, Bacca y la pareja Rodrigo-Lima, comenzaban a desesperarse. Hubo que esperar hasta el minuto 37 para ver el primer disparo a puerta con verdadera intención: un pase desde la derecha de Reyes fue recogido por Alberto Moreno, y el disparo del lateral izquierdo sevillista, con mucha rosca, no encontró la colocación suficiente para sorprender a Jan Oblak. Sin embargo, fue el Benfica el que acabó dominando los últimos compases de la primera mitad, y pudo haberse retirado con ventaja a los vestuarios de haber aprovechado sus jugadores alguna de las tres claras ocasiones que tuvieron en tiempo de prolongación: primero en un remate a bocajarro de Maxi Pereira que Beto salvó instintivamente, posteriormente en un disparo envenenado de Rodrigo al que el portero sevillista respondió con una gran intervención, y finalmente en un intento de remate de Gaitán frustrado por Fazio al límite del penalti. Tras el paso por vestuarios, el Benfica continuó llevando el peso del partido ante un Sevilla que se vio obligado a replegarse. En el minuto 49, el conjunto portugués tuvo una clarísima doble ocasión para haber inaugurado el marcador, pero sendos remates a bocajarro de Rodrigo y Lima fueron taponados milagrosamente por la zaga sevillista. Poco después, los hombres de Unai Emery avisaron de sus intenciones atacantes cuando Reyes recibió un preciso pase entre líneas de Rakitić y el extremo derecho sevillista culminó la jugada con un disparo cruzado que desvió Luisão. Tras nuevas ocasiones en las botas de Reyes y de Gaitán, el partido se abrió definitivamente, aunque seguía siendo el Benfica el que llevaba el mayor peso del encuentro. A medida que se aproximaba el final del tiempo reglamentario, las fuerzas comenzaron a flaquear en ambos conjuntos y las imprecisiones aumentaron, por lo que un gol en este tramo final iba a resultar casi definitivo. Fue el Benfica el que estuvo a punto de conseguirlo en tres mágnificas oportunidades dentro de los últimos diez minutos: en el minuto 80, Fazio despejó un disparo de Rodrigo; cuatro minutos más tarde, Beto respondió con una gran parada a un potente lanzamiento de Lima y, sin apenas solución de continuidad, un cabezazo de Garay en el segundo palo se marchó rozando el larguero. Ya en tiempo de descuento, una acrobática volea del propio defensa argentino del Benfica pudo suponer el gol de la victoria para su equipo, pero no fue así, y el partido se marchó a la prórroga. En el tiempo de prolongación, fue el Benfica el conjunto que se mostró más enteró físicamente, aunque el Sevilla continuó llevando peligro en rápidos contragolpes. En uno de ellos, en el minuto 101, Bacca tuvo la mejor oportunidad para adelantar a su equipo cuando se plantó solo ante Oblak tras recibir un excelente pase en profundidad de Rakitić, pero su disparo con el exterior se marchó fuera por poco. La segunda parte de la prórroga, con ambos conjuntos muy tocados, fue prácticamente un trámite en espera de la tanda de penaltis. En la suerte decisiva, Lima y Bacca se mostraron seguros en sus lanzamientos antes de que Beto realizara una gran estirada para desviar el disparo de un Cardozo excesivamente dubitativo. Tras convertir M’Bia su penalti, una nueva parada de Beto a disparo de Rodrigo y el acierto de Coke dejaban al Sevilla a las puertas de su tercera Europa League. Pese a que el capitán benfiquista Luisão convirtió su lanzamiento, el delantero francés Kévin Gameiro fue el encargado de certificar la victoria de su equipo e iniciar las celebraciones sevillistas en el Juventus Stadium.